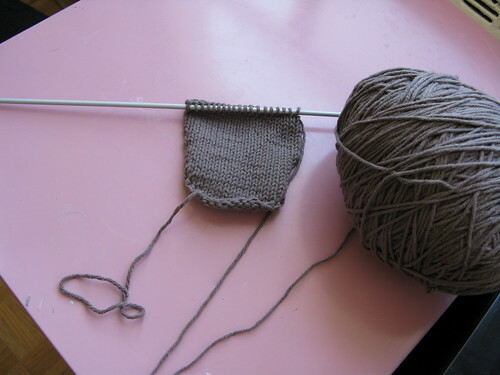 Posted by cheryl in Cheryl, Socks, Work in Progress. Sure it looks good and all, but as I said before, 100% mercerized cotton doesn’t work for socks. There’s no stretch whatsoever. AJ wasn’t impressed. He thought I could do better. This is my second attempt. I’m using proper sock yarn and I’m quite happy with the result. The heel is finished. All I have to do is complete the foot and sock #1 is dooone! 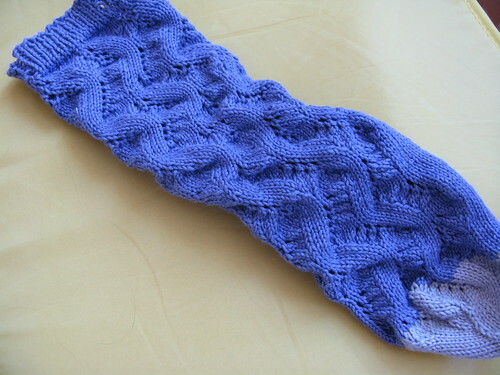 This pattern knits up quickly and I love, love, love it! Unfortunately, it’s going to have to remain on the sticks a little while longer. My mom’s b’day is in a couple of weeks and she’s dying for a pair of knitted slippers. 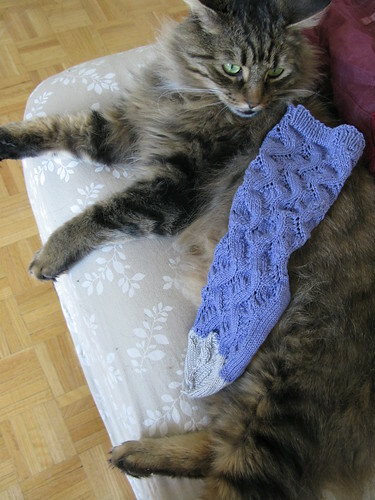 I’ve decided on the Mother’s Day Cotton Slippers, and I’m using two skeins of cotton ease – one in grey and one in white. 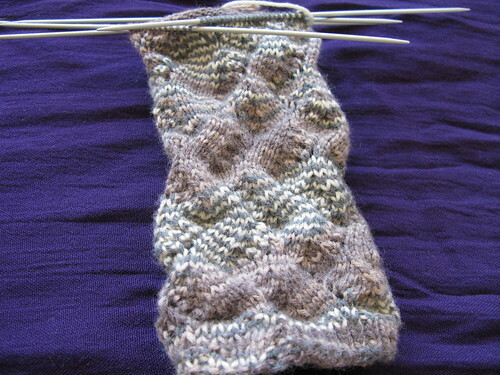 I started the heel yesterday. This little bugger is knitting up fast! I’ll post pics when I’m finished.